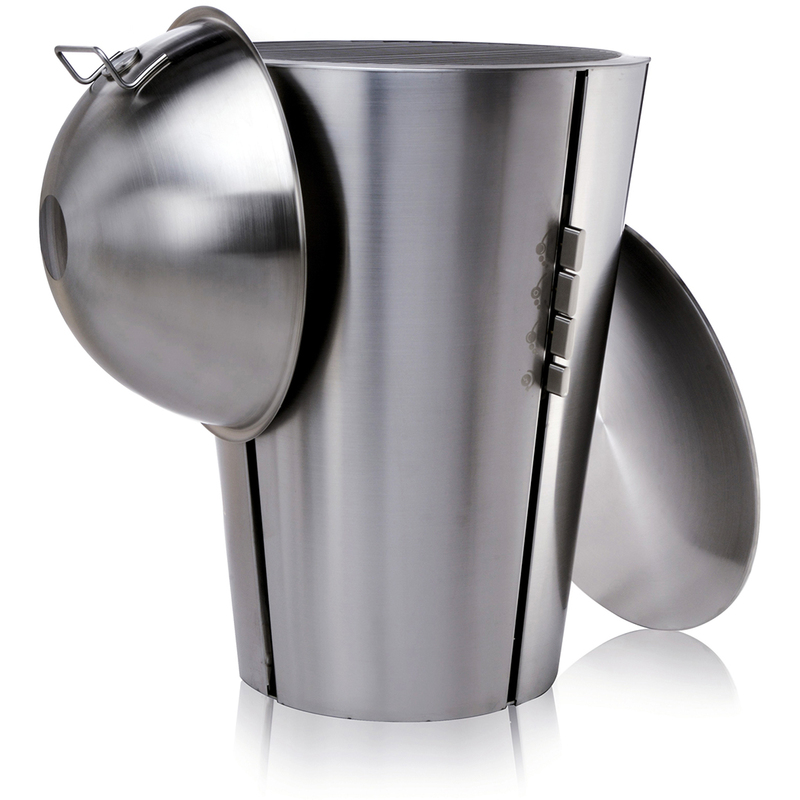 Made of stainless steel inside and out. Features include three individually adjustable cooking zones, a dome lid for grilling with the lid and a handy flat lid to conceal the grate and keep out rain when not in use. And the gas bottle? That’s neatly stored out of sight in the grill cabinet.